Abstract: The Micro Electro Mechanical Systems (MEMS) field has utilized the momentum generated by the semiconductor industry and created successful products in the past decade. Some of these include integrated accelerometers and gyroscopes by Analog Devices, pressure sensors by Motorola, lab on a chip systems by Caliper and Affymetrix to name a few. Another promising area for the MEMS devices are manipulation of light signals, switching, adding and dropping of wavelengths to light signals, and spectral equalization. In this talk, I will give two examples of such Micro Opto Electro Mechanical Systems (MOEMS). The first system would be an electrostatically actuated bulk micro-machined single crystal silicon micro-mirror array and the second system would be a MEMS tilt-mirror spatial light modulator for a dynamic spectral equalizer. Biography: Mehmet R. Dokmeci received the B.S. (with distinction) and the M.S. degrees from the University of Minnesota, Minneapolis and the Ph.D. degree from the University of Michigan, Ann Arbor, all in electrical engineering. His dissertation was on hermetic encapsulation of implantable microsystems for chronic use in living systems. 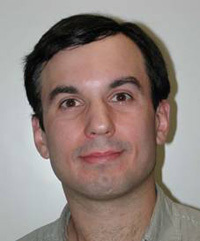 In Fall 2004, he joined the Electrical and Computer Engineering Department, Northeastern University as an Assistant Professor. Previously, he was an Assistant Research Scientist in the Electrical Engineering and Computer Science Department at the University of Michigan, Ann Arbor, where he developed a wafer level vacuum packaging technology based on Pb-Sn solders. He has 3.5 years of industrial experience at Corning-Intellisense Corporation, Wilmington, MA developing MEMS-based products for the telecommunications and life sciences industries. His research interests are concentrated in all areas of micro and nanofabrication and their applications to biomedical and optical devices, hermetic and vacuum packaging, humidity sensing and implantable biosensors. He has 29 technical publications in these areas. Dr. Dokmeci is a member of IEEE, MRS and HKN.